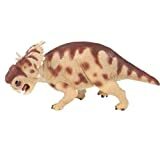 Pachyrhinosaurus was a herbivore (plant-eater) that lived in western North America during the late Cretaceous period, between about 72 and 68 million years ago. Its fossils have been found in Alberta, Canada, and in Alaska. Pachyrhinosaurus was about 18 feet (5.5 meters) long, and weighed about 4 tons. Like other Ceratopsian dinosaurs, it had a massive head, a neck-frill, and spikes on its neck-frill. However, unlike some of its relatives it did not have a horn on its snout, but instead had a massive flattened bony lump ("boss"). Scientists believe that it probably used this boss in butting and shoving matches in a similar way to musk oxen do today. North American Dinosaurs - Pachyrhinosaurus lived in North America. Its fossils have been found in Alberta, Canada, and in Alaska. Pachyrhinosaurus was a genus of dinosaur. Pachyrhinosaurus was a member of the Ornithischia ("bird-hipped") order of dinosaurs. What this means, is that although Pachyrhinosaurus was not closely related to birds, it did have similarly shaped pelvic bones. Pachyrhinosaurus was a Ceratopsian - a member of a group of related herbivorous (plant-eating) dinosaurs with beaks, many of which had neck frills and horns as well. Pachyrhinosaurus lived between about 72 million years ago and 68 million years ago, during the late Cretaceous period. Pachyrhinosaurus lived in North America. Its fossils have been found in Alberta, Canada, and in Alaska. Pachyrhinosaurus was a herbivore (plant-eater). Pachyrhinosaurus was about 18 feet (5.5 meters) long. Pachyrhinosaurus weighed about 4 tons. Pachyrhinosaurus follows two separate stories: the discovery of Pachyrhinosaurus fossils in northwestern Alberta and the sequence of events leading to this dinosaur’s abrupt demise 76 million years ago. Pachyrhinosaurus, one of the rarest, least understood horned dinosaurs, lived during the late Cretaceous Period at the end of the 150-million-year Age of Dinosaurs. Pachyrhinosaurus was different in a striking way from other dinosaurs. Instead of the sweeping lances found on the faces of Triceratops and Centrosaurus, Pachyrhinosaurus had gnarly platforms of bone covering its nose and eyebrows. These bony fossil shields gave the dinosaur its name, which means "thicknose reptile." Walk with the dinosaurs in this Level 2 I Can Read book based on the motion picture. In this story, Patchi meets Juniper and knows he's finally found a friend. There's only one problem: She's in a different herd. I Can Read books are designed to encourage a love of reading. Walking with Dinosaurs: Friends Stick Together is a Level Two I Can Read book, geared for kids who read on their own but still need a little help. Walking with Dinosaurs, a six-part documentary on the BBC, is now the most watched cable documentary ever, as well as a long-running live stage show. The long-awaited 3D motion picture comes out this December, and is sure to thrill fans. Dinosaurs such as Triceratops had deadly horns, bony frills, and sharp beaks. Some of these powerful plant eaters were so strong, they could knock down trees. Bold images, colorful maps, and interesting facts take readers back to a time when these dinosaurs walked the earth. Walk with the dinosaurs in this I Can Read book based on the motion picture. In this story, Patchi and Juniper get separated from their herd during the great migration. Will they make it to the Winter Ground, where their families are waiting? Walking with Dinosaurs: The Winter Ground is a Level Two I Can Read book, geared for kids who read on their own but still need a little help. In the first monographic treatment of a horned (ceratopsid) dinosaur in almost a century, this monumental volume presents one of the closest looks at the anatomy, relationships, growth and variation, behavior, ecology and other biological aspects of a single dinosaur species. The research, which was conducted over two decades, was possible because of the discovery of a densely packed bone bed near Grande Prairie, Alberta. The locality has produced abundant remains of a new species of horned dinosaur (ceratopsian), and parts of at least 27 individual animals were recovered. This new species of Pachyrhinosaurus is closely related to Pachyrhinosaurus canadensis, which is known from younger rocks near Drumheller and Lethbridge in southern Alberta, but is a smaller animal with many differences in the ornamental spikes and bumps on the skull. The adults of both species have massive bosses of bone in the positions where other horned dinosaurs (like Centrosaurus and Triceratops) have horns. However, juveniles of the new species resemble juveniles of Centrosaurus in having horns rather than bosses. Skull anatomy undergoes remarkable changes during growth and the horns over the nose and eyes of the Pachyrhinosaurus juveniles transform into bosses; spikes and horns develop on the top of and at the back of the frill that extends back over the neck. No cause has been determined for the apparent catastrophic death of the herd of Pachyrhinosaurus from the Grande Prairie area, but it has been suggested that such herds may have been migratory animals. In addition to the main descriptive paper, the volume includes information on the distribution of bones within the bone bed itself, and a cutting-edge digital treatment of CT-scan data of the fossils to reveal the anatomy of the animal's brain! This plant-eating dinosaur is looking for a family. 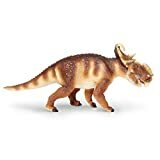 Slightly smaller than our Carnegie Dinosaur Collectibles, these educational toys for kids and collectors introduce the fascinating landscapes and creatures of prehistoric worlds. Its name sounds like rhinoceros, but Pachyrhinosaurus isn't even related. This plant-eating dinosaur is looking for a family. Wild Safari Dinosaurs and Prehistoric Life were created for the dino lover in all of us. Slightly smaller than our Carnegie Dinosaur Collectibles, these educational toys for kids and collectors introduce the fascinating landscapes and creatures of prehistoric worlds. Each hand painted figure is designed to stimulate imagination and learning in children of all ages. 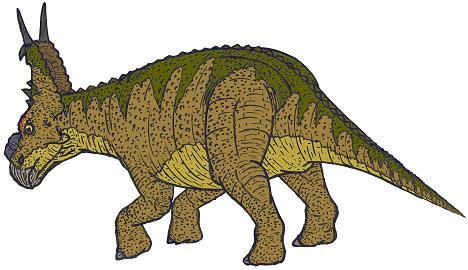 THICKED NOSED LIZARD - The Pachyrhinosaurus name means "thick-nosed lizard", is an extinct genus of centrosaurine ceratopsid dinosaurs from the Late Cretaceous period of North America. It was four short legs, a short tail, large plant-eating dinosaur that had a bony, spiked neck frill and it may not have had a snout horn, and it did have a large bony bump on its nose. BEAUTIFULLY FINISHED AND DURABLE - This figure is beautifully finished and the extreme attention to detail is universally recognised. This figure is made of a very high quality plastic, its measures approximately 6 inches long; Suitable for ages: 3+ Years. Patchi is curious and optimistic. He is not the biggest or the toughest in the herd, but he always uses his head and his heart to do the right thing. 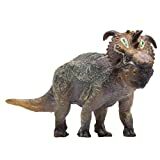 Safari Ltd. Dino Pachyrhinosaurus by Safari Ltd.
All of our products are lead free and thoroughly safety tested;Its name sounds like rhinoceros, but Pachyrhinosaurus isn't even related. ;This plant-eating dinosaur is looking for a family. ;Wild Safari? Dinosaurs and Prehistoric Life were created for the dino lover in all of us. 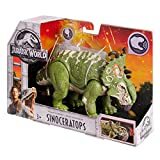 ;Slightly smaller than our Carnegie Dinosaur Collectibles, these educational toys for kids and collectors introduce the fascinating landscapes and creatures of prehistoric worlds. FUN FACTS: Achelousaurus means "Lizard of Acheloo". 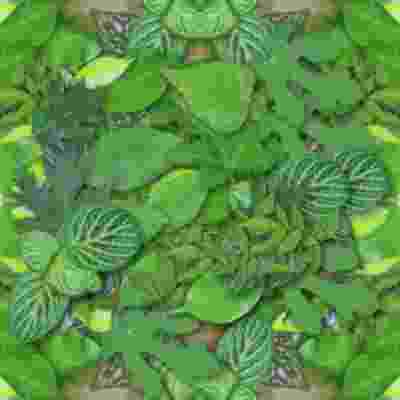 This plant eating dinosaur resided in the woodlands of North America. PRODUCT SPECS: Achelousaurus measures 5.91 in L x 1.57 in W x 2.36 in H, and is suitable for children ages 3 and up. CollectA's replica of the Achelousaurus is detailed and lifelike down to the texture of its hide and its parrot-like beak. A dramatic bony frill extends from the creature's skull, ending in a pair of curved horns. The plant-eating Achelousaurus lived approximately 74.2 million years ago. Three skulls and other fragmentary remains of this dinosaur have been found in Montana. These fossils show that the skull of an adult Achelousaurus was over 5 feet in length. This beautifully sculpted, collectible replica figure from our Prehistoric Life Collection measures 5.9''L x 2.4''H. Each figure in our Prehistoric Life Collection has been approved by archeologist Anthony Beeson, a well-respected expert in paleoimagery. All CollectA models are individually hand crafted to the highest standards and made with the finest and safest phthalate-free, lead-free materials. Create a natural world in miniature with high quality toy replicas from CollectA. Our mission is to educate collectors and to provide the greatest opportunity for creative play. 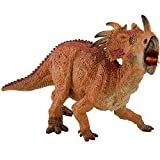 CollectA's replica of the Pachyrhinosaurus is lifelike down to the unusual horns and bony frill on its head. Discovered in Canada in 1946, the Pachyrhinosaurus lived approximately 73.5 - 72.5 years ago. Fossils show the creature grew to be approximately 26 feet long and weighed about 4 tons. This plant eating dinosaur had a bony frill extending from the back of its skull, and in addition had both horns and ''bosses.'' on its skull. The mouth of the Pachyrhinosaurus resembles a beak. This beautifully sculpted, collectible figure from our Prehistoric Life Collection measures 5.3''L x 2.8''H. Each prehistoric figure in our collection has been approved by archeologist Anthony Beeson, a well-respected expert in paleoimagery. All CollectA models are individually hand crafted to the highest standards and made with the finest and safest phthalate-free, lead-free materials. Create a natural world in miniature with high quality toy replicas from CollectA. Our mission is to educate collectors and to provide the greatest oppportunity for creative play.